The Washington Redskins have had the worst 15 days of any team in terms of injuries after they first watched starting QB Alex Smith break his leg against the Houston Texans and then watched in horror as the same thing happen to backup QB Colt McCoy against the Philadelphia Eagles. It seems as if the Redskins are dead set on riding on the back of Mark Sanchez to finish the season out as they still have a puncher’s chance of winning the NFC East. 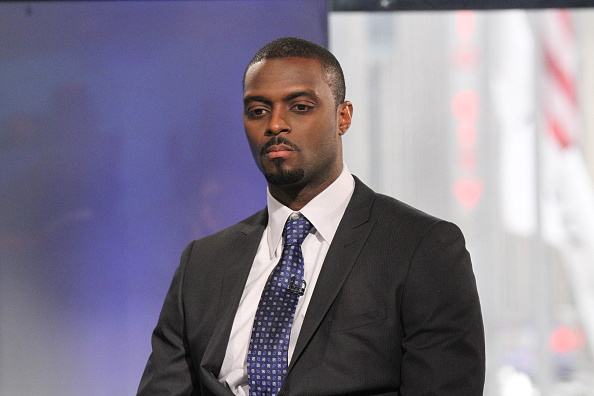 For that reason, Plaxico Burress finds that to be hilarious, which is why he took to social media and took a shot at Sanchez and what’s to come in the next few weeks with his quarterback play. Social media made sure to remind him that he shot himself. Obviously the Redskins QB’s have had some major leg injuries in recent weeks. Obviously none self inflicted. It is what it is. Jets foolishly let @OfficialBraylon go after 2010 and replaced him with the guy who shot himself and then went to jail for 2 seasons while Sanchez was going to 2 AFC Championships. Hows your leg injury doing cheddar bob? Bro…. you shot yourself while you were in your prime!! To be fair, the redskins shoot themselves in the leg with their conservative play calling.